I’m going to try this recipe. It sounds delicious. 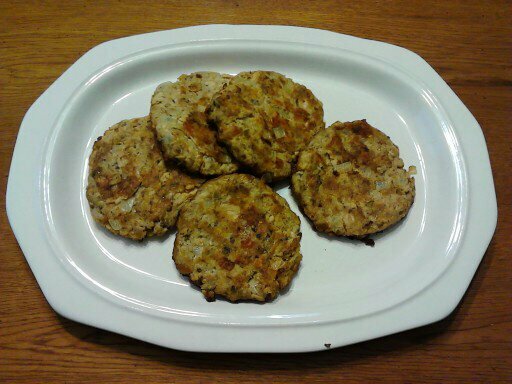 My mother used to make salmon patties when I was young and I loved them. She always made mashed potatoes and green peas to go with them. Didn’t learn to eat the peas till later in life. But it was surely a memory making meal. You’re in luck! My favorite recipe for peas is also on my blog under Edible Fiction! Glad you liked it.